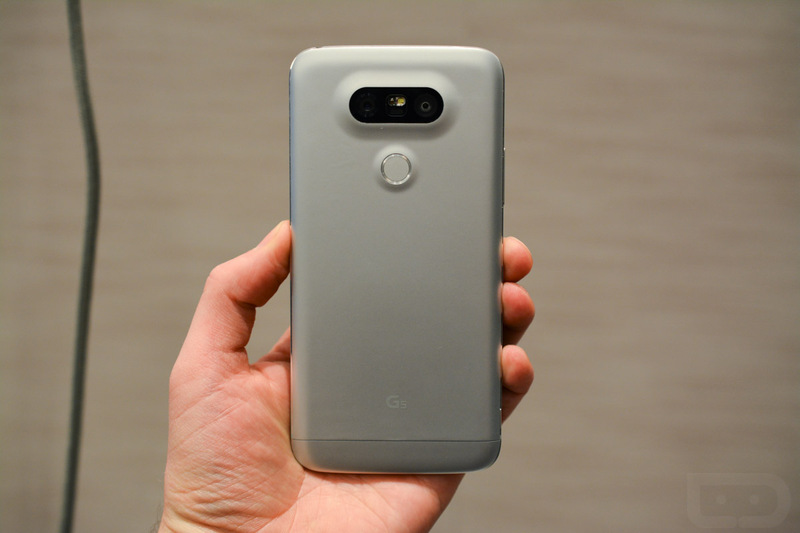 Now that the LG G5 is official and you have (hopefully) watched our detailed hands-on video of it, you are probably wondering what the official specs look like. Below, we’ve detailed them all for you in a fancy little table. As a quick recap, you are looking at a 5.3-inch Quad HD IPS Quantum display (2560×1440, 554ppi), Snapdragon 820 processor, 4GB RAM, 32GB storage with microSD support up to 2TB, 2800mAh removable battery, dual rear cameras of 16MP and 8MP, front 8MP shooter, fingerprint sensor, USB Type-C port, and Android 6.0 Marshmallow underneath LG’s latest skin. The body of the G5 is now metal as well, though you won’t see that mentioned in the table. Did LG leave anything out? It doesn’t seem like they did.